VLife Services assist clients in the pharmaceutical, nutraceutical, beauty & healthcare, chemical & petrochemical, biotechnology and agri-biotechnology sectors through a host of services. Research Services: VLife Research Services help clients' build research pipeline, manage product lifecycle through innovation, unlock value in shelved compounds and enable informed decisions regarding research investment. 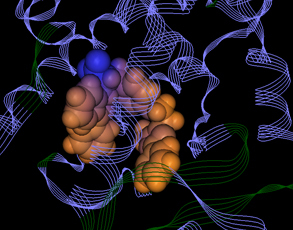 Knowledge Services: Our Knowledge Services help clients cut time and cost in performing critical functions in research programs through our expertise in computer aided drug design in areas such as virtual screening, protein modeling, QSAR and prediction services for activity, toxicity and ADME. Technology Services: Our skills in developing custom technology solutions enable pursuance of a scientific approach for which off the shelf technologies are unavailable or inadequate. We also develop technologies for decision support and process automation. Success with computation technology requires awareness of not only its strengths but also of the areas where it needs augmentation from other approaches. Being developers of computational technologies, we have proved our expertise by creating IP in 3 NCE classes and 7 new indication discoveries. We cater to a variety of sectors and within them, a diversity of areas. e.g. in pharmaceuticals, we have successfully delivered discovery projects in oncology, anti-fungal, diabetes, CNS etc. Clients benefit from our expertise in using the whole range of VLife's technologies, efficient workflows and other 3rd party software to address a wide research spectrum saving learning time and upfront expenditure. Generic technologies sometimes are inadequate or inefficient in complex research. For such needs, our in-house team has skills to develop custom technologies ensuring reliable research. Tell VLife your specific requirements and find how VLife can help address them. • 4 technology suites e.g. VLifeMDS, QSARpro etc.